Tags: art, art playground, Artwork, Catherine Frowd, Catherine Jones, Cheltenham, children, creative, creativity, curiosity, Debbie Lee, Do, Ella Phillips, Emma Reid, exciting, exhibition, families, family, fun, Gloucestershire, Glynn Griffiths, Jane Webb, Jon Clair, Judith Barker, kids, launch event, Melissa McGovern, Natasha Houseago, party, playground, Please, Please Do Touch the Artwork, Rosie Jones, sculpture, social enterprise, the, The Brewery, Touch | Permalink. Tags: art, art playground, Brewery, chain reaction machines, Rube Goldberg, workshop | Permalink. Tags: art, art playground, Easter, free, Rube Goldberg, workshop | Permalink. Please DO touch the artwork! This weekend we did our second half term craft workshop, quieter than Tuesday’s, but between the two workshops we had over 400 people which beats the Christmas total. 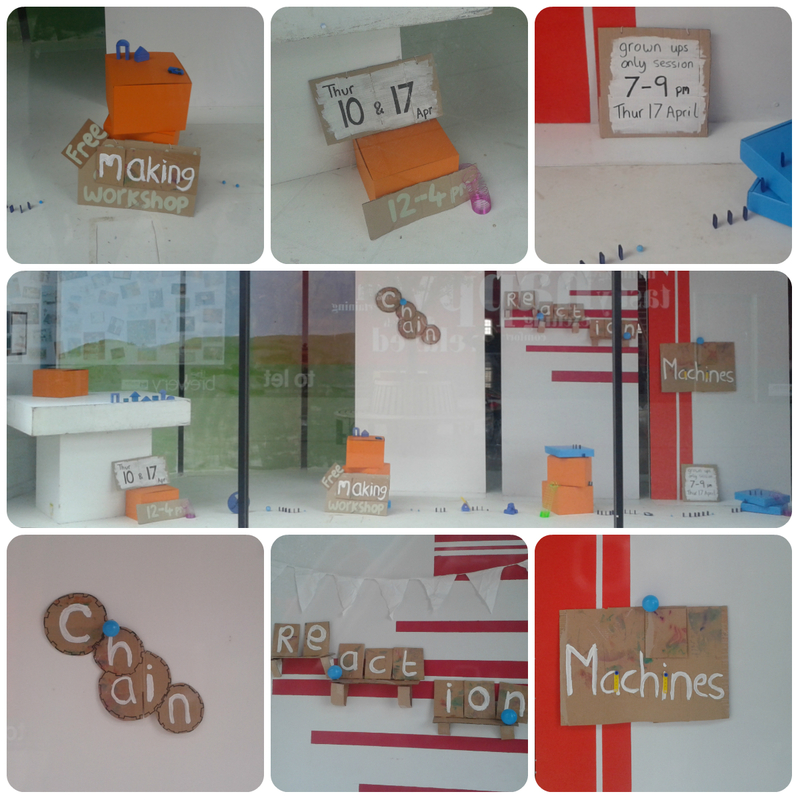 We’re part way through the window display and will share some pictures as soon as it’s done. In the meantime, we’ve launched an interactive art competition, which is open to both student and professional artists. We’ll be creating an exhibition from the successful submissions and you will be able to interact or engage with every piece in some way. 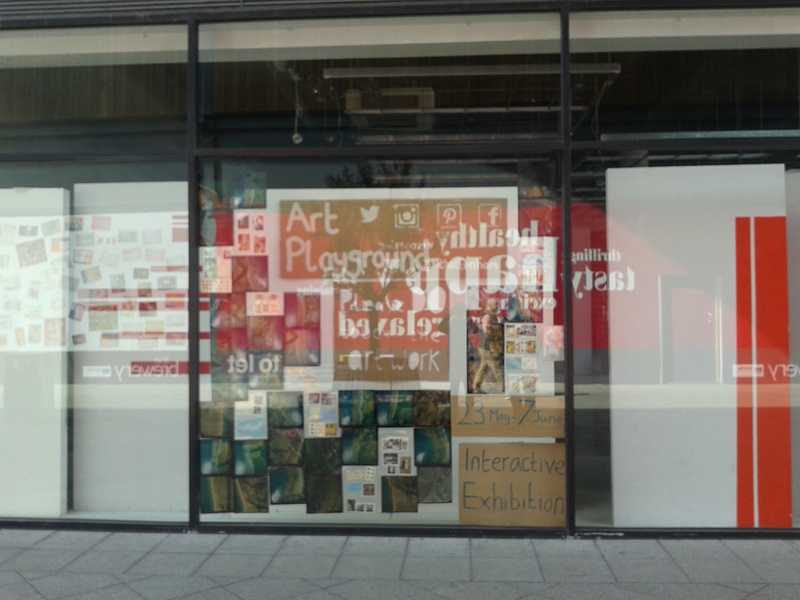 The Art Playground exhibition will take place at The Brewery, Cheltenham, 22 May -7 June 2014. We are inviting work by artists, both student and professional, using any medium. Submissions should explain how the art work will be interactive and how the public can engage with it. The aim of the exhibition is to encourage curiosity and creativity in adults and children alike. We will accept both proposals and finished work. As well as £500 for the judges’ choice award, participating artists will be invited to a private view and networking event and have the opportunity to share further information about their work within the venue and in the exhibition print and web pages. We will also be hosting workshops and a ‘meet the artist’ event. The judging panel will include Niki Whitfield, project manager of Cheltenham Open Studios, Arabella Kiszely, owner of Little Buckland Gallery, Liha Okunniwa of The Wilson, Cheltenham Art Gallery and Museum and Demelsa Coleman, Marketing and Communications Manager of The Brewery. They will be joined by arts, marketing and design professionals from Gloucestershire and further afield. The Art Playground directors are currently working to set up a permanent arts venue with a focus on interactive art and will be looking to commission work and host artists. We are keen to make contact with artists interested in engaging with this process through the competition. We believe that Art Playground will be an exciting opportunity for artists as well as an engaging space for the public. For enquiries or a submission form please contact Christina Poulton via our gmail.com email address- we are artplaygroundchelt[at] or find Art Playground Cheltenham on Facebook or Twitter. 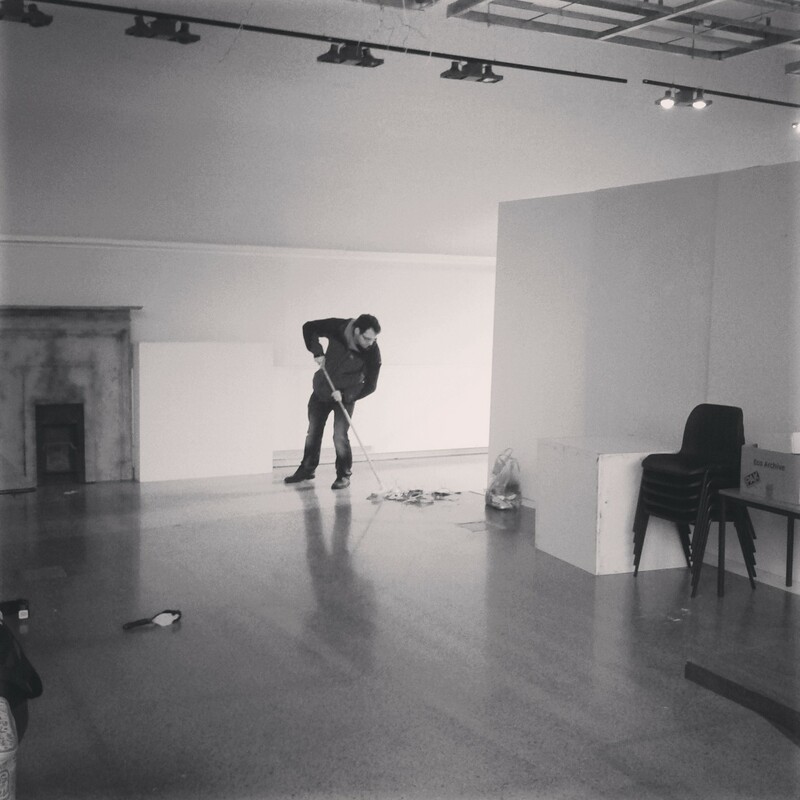 Tags: art, artist, Cheltenham, competition, exhibition, interactive, The Brewery | Permalink.